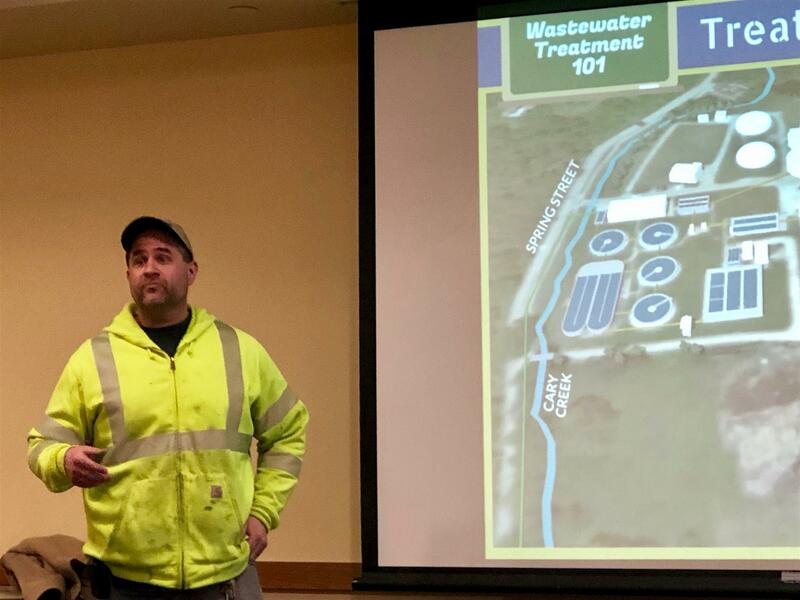 At today's meeting, Erik Morimoto, Director of Public Works, and Matt Anderson gave an overview of the Wastewater Treatment System for the Village of Cary. Matt described in detail the filtration process used by the village. Residents of Cary are fortunate in having the property, facility and expertise to ensure that our wastewater is efficiently processed in a cost-effective manner. And, the facility has the capacity to accommodate additional growth within the community without the need to upgrade equipment. Erick reviewed some of the Construction Projects that are planned for the Village. At the top of that list is the upgrade to the Metro Station, a $2.3 million grant project that includes a new depot and pedestrian crossing at Route 14. Being the 60th busiest station out of Metra's 236 stations, this upgrade is much needed. Thanks to both Matt & Erik for a very informative program.